A blog about roleplaying. You probably shouldn't read it. So when this blog was but a young blog, I wrote a short post about a post that Zak S. wrote inspired by a theoretical science article he read. The main thrust is that if fantasy worlds are polyhedral worlds rather than spherical worlds, gravity would still pull the atmosphere into a spherical shape, meaning that each face of the polyhedron would be a flat plane with a bubble of air atop it. The edge of this bubble would form the outer edge of the habitable zone of the world, meaning that one could not cross from plane to plane overland, but one could do so through the megadungeons carving their way through the interior of the earth. My idea was that all myths are true, and so one can paradoxically reach alternate planes by going deep enough into the earth, or going into the sky via Spelljammer, or accessing planar portals, or getting transferred through the Mists, or whatever. The spiritual realms beyond the Horizon (what we would term outer space but a lot of mages call the Deep Umbra, particularly once you hit the asteroid belt) are full of Ether, which is breathable. If you're a mage. And if you believe you can breathe it. A modern Hermetic, raised on modern science, probably doesn't believe he can breathe it anymore than a Technocrat can, so he doesn't try and suffocates in the "vacuum." One of the books notes a bit of dissonance that occurs when Technocratic Union astronauts in full space suits arrive on a planet to find a half-naked shaman there beside a campfire. It doesn't compute, but both things are true. The High Umbra, the spiritual realm of concepts and ideas, initially appears as a mental landscape called "The River of Language." (Fans of The Book of Worlds will note that this was originally its own realm; it got transplanted as the near High Umbra as part of Revised Edition.) The River of Language forms a variety of branches and deltas mirroring a a diagram of linguistic family trees, and emptying into the Great Ocean of the Future — itself containing the potential of languages yet-to-be. The further up river one goes, the farther back in the zeitgeist of the language one goes, so that the modern cities of modern English will give way to the Elizabethan towns of early modern English which will give way to the walled, medieval cities of Old English, which will pass through locales indicative of its Germanic and Latin roots (incidentally, most American characters will find themselves on the Indo-European branch of the River). However, scientifically-minded magi (such as Technocrats) may only be able to navigate the River by the avenues posited by modern psychology and linguistics, whereas pseudoscientists and old-school occultists might be able to navigate discounted linguistic relationships — The Infinite Tapestry makes reference to the Technocracy trying to hunt hidden Traditionalist Masters who disappeared into a linguistic region corresponding to Barry Fell's discredited work in New World epigraphy, which the Technocrats cannot find because they don't believe in it! I run my D&D games the same way (although it rarely comes up). As noted above, all things are true — you might be able to access Oerth via Toril if you dig deep enough, or you can take a Spelljammer, or you can just get there by way of Sigil. 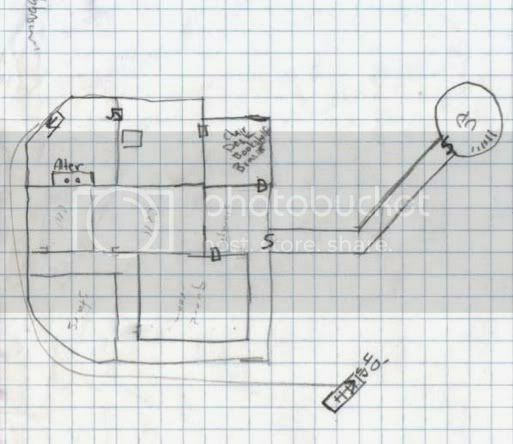 Or maybe you bypass Sigil, instead accessing planar travel through the city of Dis, Tanelorn (good luck finding it, though), or the World Serpent Inn. Likewise, an old-school planewalker from Áereth might be familiar with the Great Wheel Cosmology of AD&D and 3.x, whereas a new planewalker from fallen Nerath might be more acquainted with the World Axis Cosmology of 4e. Of course, that affords them different opportunities — the Nerathi planewalker might be able to lose the Áerethian planewalker by using the Shadow Passage ritual to jaunt into the Shadowfell, where he cannot follow because it's outside of his knowledge and belief structure, whereas the Áerethian can lose the Nerathi via a Plane Shift to the Outlands. As such, when the Shields of the Sorrowfell go plane-hopping — let's say to Baator because the DM hates them — they do so according to the World Axis (and therefore they'll likely sail across the Astral Sea) because that's what they learned to be true. But when Dr. Dagger Nazareth tries to track them down (probably to try to score some space-cocaine), he has to take a different path (maybe he goes to the Outlands and travels through the gate-town of Ribcage) because the University of Wiss Khan Sin only teaches Great Wheel Cosmology. Of course, if either side has an open mind about the experience, or simply finds evidence leading from one place to another, they might be able to backtrack through the alternate cosmology. After all, if your ranger is tracking someone and finds that they fled to Arcadia, the trail is still evident even if the destination is not. Deadly Dungeons is now available in Print & PDF! Joining the Wonders of Thedas Podcast to Talk About Romance! I have been running roleplaying games since 1998, and playing since a little after that. In 2011, I decided to start writing about the hobby.